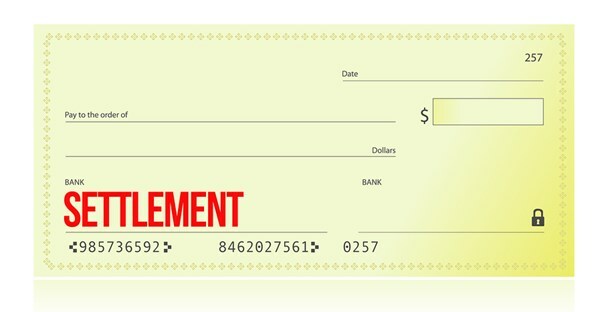 Structured settlement is the term applied to an agreement to pay money to settle a legal claim. The term structure indicates that you pay money in agreed amounts over time rather than in one lump sum. The paying party agrees to make payments in a structured or scheduled way as stated in a legal settlement agreement. One commonly encounters structured settlements in civil lawsuit cases for large amounts of damages for personal injury. One frequent example is in cases that involve injuries to young children. Compensation for childhood or neonatal injuries will cover a lifetime of suffering, economic loss, and future medical expenses. The size of the award and the fact that funds cover future expenses make a structured settlement an excellent way to proceed. The advantage for the recipient is usually that they will receive more money in a structured settlement than in a lump-sum settlement; the present value of money is less than if paid out over a longer period. Therefore, when accepting a structured settlement, recipients should expect more than the present value of the sum. Recipients should expect to be paid part of the future value, as well. Similarly, the value to the paying party is to reduce the costs of settlement. A paying party, often an insurance company, can purchase a security with a maturity date; the structured payments can come from the security in whole or part and, therefore, reduce the overall amount paid out by the insurance company. The U.S. Internal Revenue Code accepts structured settlements in personal injury and similar cases and treats it as income from a personal injury case, excluded from taxation as personal income, and deductible by the payer. The IRS treats workers compensation injury compensation in a similar way. State and federal laws have also moved to allow persons to receive structured settlements and preserve Medicare and Medicaid eligibility, which uses a means test, and considers assets whether taxable or not. The better rule which is emerging among states is to permit use of assets to defray future medical costs rather than penalizing citizens. This often takes the form of a trust for future medical expenses. Some recipients of structured settlements later regret the choice or need may compel them again to have the option of a lump sum payment. This situation is also common, and it has produced an active market of buyers for structured settlements. The holders of structured settlements can sell their rights for a percentage of the remaining value and receive those funds in a lump sum. The purchaser then stands in the shoes of the original recipient, to receive periodic payments until the payer has paid the remaining amount due in full. The process of converting a structured settlement to a lump sum is usually simple, the legally complex assignments and substitution of parties are included in documents signed by the structured settlement owner. However, the conversion requires a loss of value for the seller, which is the reason the buyer takes the note, to capture a profit.